Planned Parenthood in Claremont is closed after it was vandalized. 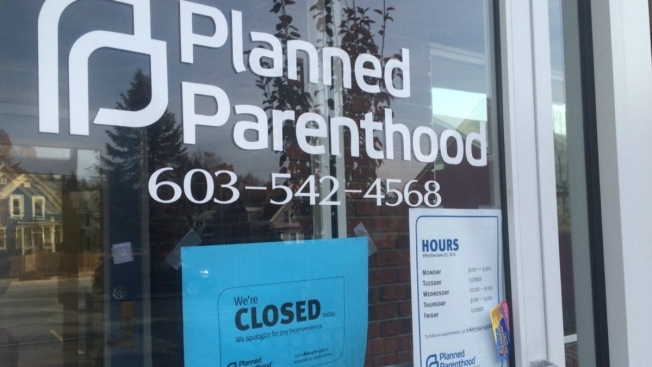 Planned Parenthood officials say a Claremont, New Hampshire, clinic that police say was badly damaged by a hatchet-wielding juvenile they captured inside will remained closed at least through this week. Jennifer Frizzell, vice president for public policy for Planned Parenthood Northern New England, says patients of the Claremont clinic with immediate needs should seek treatment at the two closest Planned Parenthood clinics - one in Keene, New Hampshire, and the other in White River Junction, Vermont. Both are about a half-hour's drive from the Claremont clinic. Police say the juvenile used the hatchet to destroy computers, plumbing fixtures, phones and medical equipment inside the clinic. Officials are investigating whether Wednesday's vandalism is linked to the word "murderer" being spray-painted on the same building earlier this month.